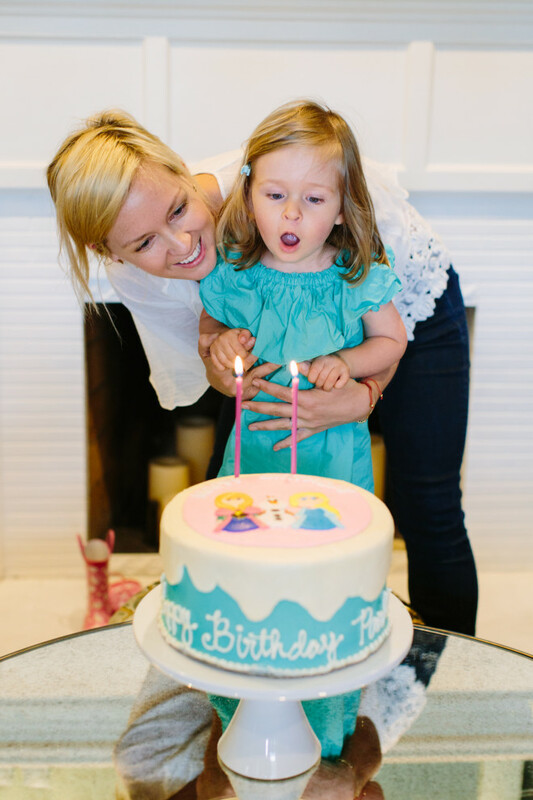 Personally, I think two of the big perks of child rearing are getting to dress them in ridiculously cute things and getting to throw parties in their honor and I truly have to reign it in when planning the latter. (At one point when I was planning Parker’s most recent birthday party there was a very comical email exchange happening between Aaron and me about whether or not I could hire Whisper the 27″ pony to pull kids around in a carriage. The answer, of course, was “no”.) Here is the thing I didn’t realize about two year olds: They’re actually way more opinionated than my pre-parent self would have imagined. 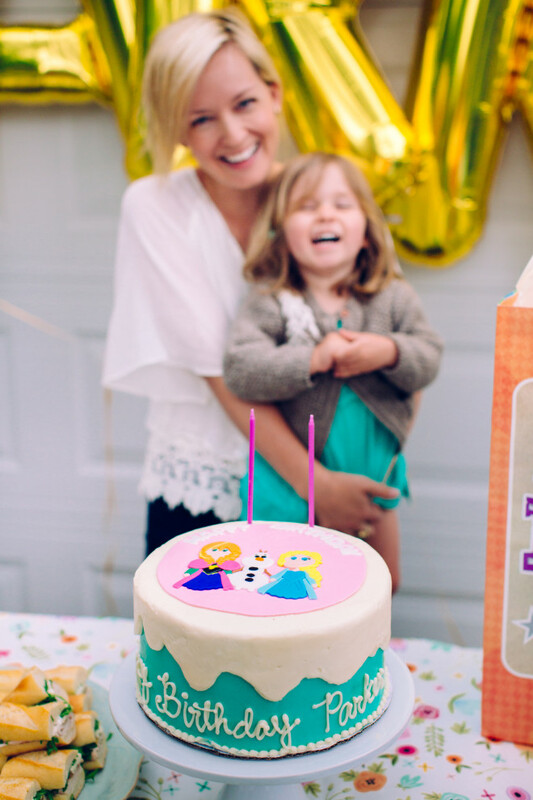 She had made up her mind that she wanted an “Anna” party– dashing all of my hopes and dreams of throwing the “Kidchella” party of the century. It was actually so fun and I enjoyed the challenge of styling it in my own way– not even rainy LA skies could put a damper on all of the Frozen fun! 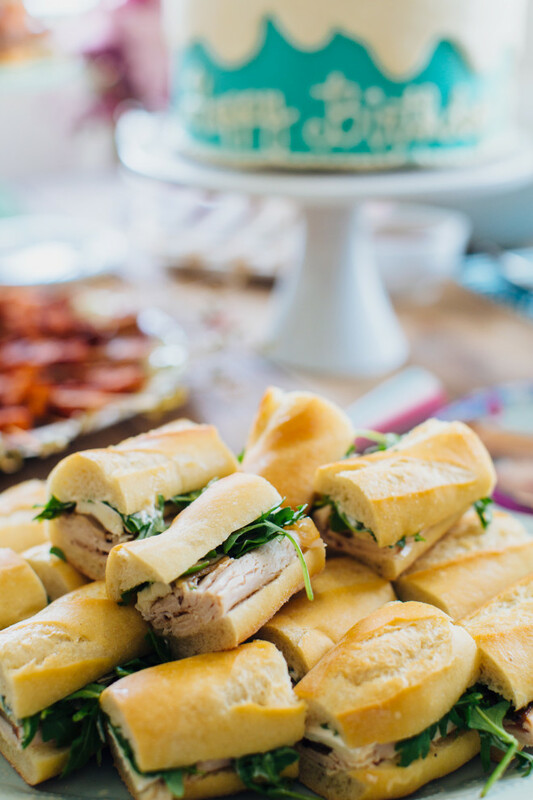 We catered the food from Thyme Cafe and Market and I’m so glad we did. 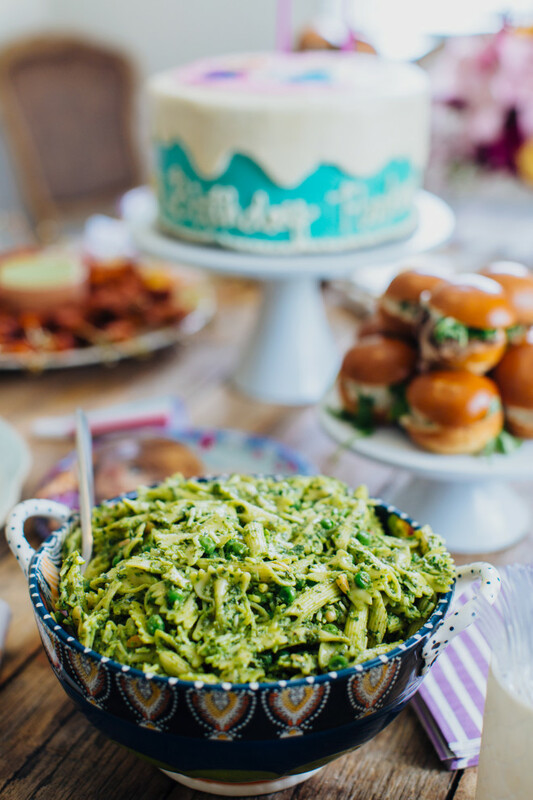 It relieves so much of the stress of party planning to not have to make the food and the kitchen stays clean! 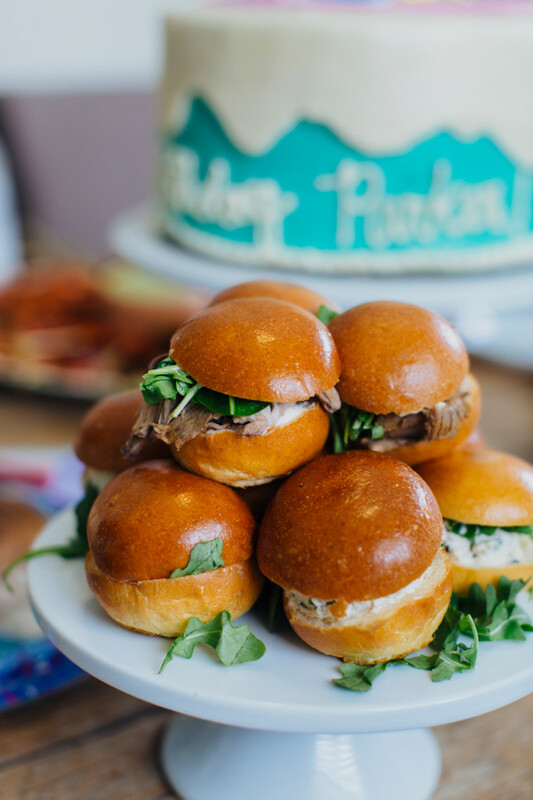 The mini sandwiches were all gobbled up– not a single one remained at the end of the party– and the pesto pasta with peas continues to be Parker’s favorite! I mixed and matched the actual Disney Frozen plates and cups with fun patterns in similar color ways from the Oh Happy Day Party Shop and spelled out her name in balloons. 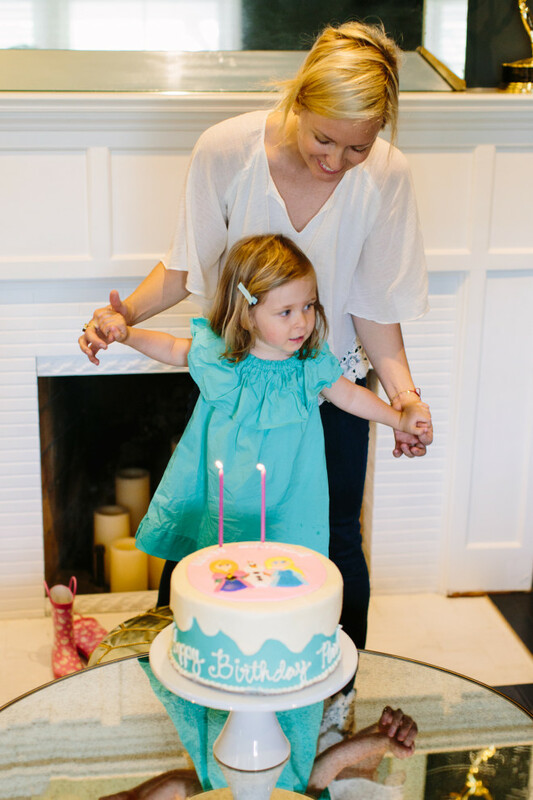 We ordered the cake from Susie Cakes in Studio City and topped it with this Frozen cake topper that I found on Etsy. Happy birthday, my sweet girl! Adorable! What a cute and simple spread! Looks amazing!! Thank you for all the love!